Dr. Bowman Foster Ashe presented with the Presidents Award for his outstanding contributions and service to the University of Miami and the University of Miami Sports Hall of Fame. 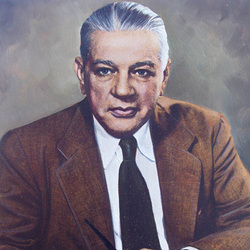 Dr. Ashe was also the founding president of the University of Miami and served as president from 1926 to 1954.